As Vijay 60 shoot is progressing at a healthy pace, here is an interesting update about this much-anticipated film. It is told that the team is currently shooting at EVP, Poonamallee in a court setup, and the scene reportedly features Vijay, Jagapati Babu and others. Court scenes have always been memorable in Vijay’s films, with reference to films like Kaththi, Tamizhan, Thalaivaa, Sura and few more to add on. 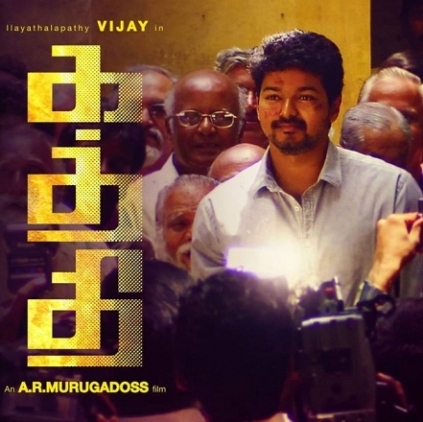 The climax court scene in Kaththi was one of the most important scenes in the film and the place where Jeevanandam and Kathiresan exchange smiles, in the end, made the audience feel the impact. So, how vital could this court scene be? Well, we will have to wait and watch. Stay tuned to get more updates about Vijay 60. Baahubali - The Conclusion is 5 times bigger! People looking for online information on Kaththi, Vijay, Vijay60 will find this news story useful.